Our brains have the potential of unlimited creation. Everything we think builds the energy of positive or negative force. The power of this energy can change the molecular structure of water and living cells. 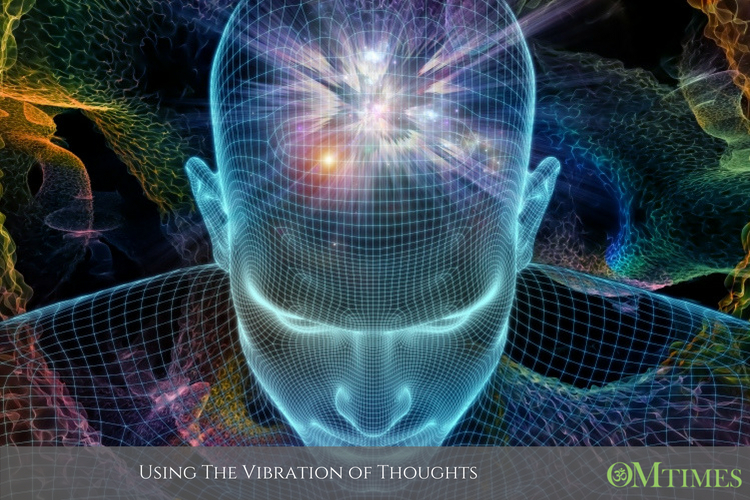 Healing frequencies during meditation and guided energy sessions with directed thought have proven to have profound effects on the human body and spiritual consciousness. Scientific studies have proven with the monitoring of the EEG the heart emits a certain frequency from 10-15 millivolt and meditation can increase this to 3 whole volts. Everything is energy! We can train our brains to remember that what we think can be brought into reality. Negative thoughts can affect the body in ways that may be unintentional. The same principle applies to the thought that you have to inherit a terrible disease from someone in your family or give in to depression because it was taboo to discuss mental challenges. Changing our thought process to become more responsible and aware of our role in keeping ourselves alive can keep us much healthier and happier. There have been many case studies which show and many people believe that negative thoughts really do change the chemical make-up of our bodies into an unhealthy state. Positive minds create healthy cells in which to fight off cell changes and create enzymes which help the body heal. If a person repeats every day of their life that it will be a short one most likely, they can manifest this into reality. Another person may take preventative action, practice a daily health and wellness meditation that helps keep their bodies in tune. Athletes know the power of mental conditioning. It can make the difference between losing and winning a game. Focus brings in possibility. The brain takes the possibility and puts it in action. Molecules dance into line as they form a pattern of recognition. Actually visualizing a win and how it will happen. Being “in the zone” means you are almost experiencing things in slow motion as they manifest into real action and result. When vocalists hit that high note or harmonize with one another, the chills they feel started with the thought of harmony. Rehearsal of an event before it happens helps the brain react in positive ways. This even works for many women in childbirth. They are able to “psyche themselves out” from pain and lessen the time they are in labor by focused intention. The brain activity has been measured to be the same whether we are actually doing it or just visualizing doing it. Our thoughts are electrostatic and magnetic. Hypnotism, the power of suggestion, creative visualization are all methods of teaching the brain to reroute the signals back to positive healing. We really do possess the power to create our environments individually and collectively. Together we are learning to come together in positive intention for the healing of the world. Protection of our children and the animals that live on this planet are so important to directing our thoughts on a change to result in positive actions to follow. We are learning the benefits of gathering together again in missions of mercy and compassion for others. If we keep the truth of trust, charity, integrity, and love for others in our lives, we can call out that which lowers our vibration and stalls our spiritual evolution. What can be seen and understood can be transformed back into light energy. It starts with the vibration of thoughts.